Nothing can ruin a good day faster than a piercing migraine headache. People who do not suffer from migraines can never understand how this can rob a person of their quality of life. It is not just a headache; in fact, one of the few things migraines and headaches have in common is that they both cause pain. Migraines come with nausea and vomiting. They can also come with sensitivity to light and sound. It is a terrible affliction and can leave the sufferer hopeless. Today, any bad headache can carry the moniker of migraine. The conventional medication for treating a migraine is also extremely similar to those used to treat a standard headache. Medication recommended for migraine suffers are usually your standard over the counter pain killers like aspirin, ibuprofen, and even acetaminophen. These pills can help, but for chronic migraine sufferers this could mean always carrying these pills around and the long-term side effects of taking them frequently can be scary. Regular, daily use of some of these kinds of medications can lead to ulcers, kidney damage, and even heart attacks and strokes. These are just the over the counter solutions that are given to migraine sufferers, the side effects of prescription drugs can be way worse. Sure,they can kill the pain, but powerful painkillers come with side effects like addiction and even overdose. If nothing has worked on your migraine, maybe it is time to consider using cannabis for migraine relief. Using cannabis for migraine relief could seem like an unconventional choice for treating your severe pain, but it might just be what you need to help relieve or even prevent migraines. The studies done on the effects that marijuana has on migraines are not well documented, but the use of cannabis on other chronic and acute pain is. Migraines fall under the category of chronic and acute pain, so maybe consider cannabis for migraine relief. 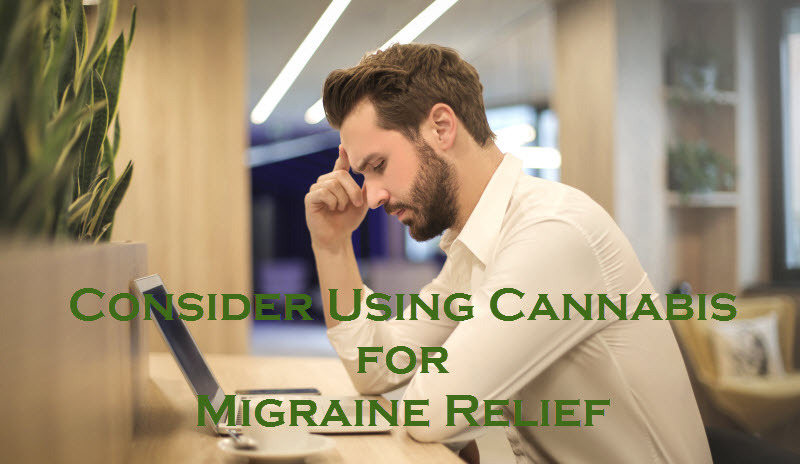 It is not that there have been no studies done on the matter, in fact, a study done in 2016, had this to say about using cannabis use for migraine relief. This is not to say that there is conclusive proof, but it could be something to consider for your migraine pain. Cancer patients have been using marijuana for their illness for some time now so, there could be something in using cannabis for migraine relief. If you have tried the conventional pain relievers and suffered through their side effects, maybe have a look at what the documented side effects are for marijuana use. If your pain is so severe that you will risk the chance of heart attack or stroke, maybe it is time to consider other options. Talk to your doctor or naturopathic health care provider about using marijuana for migraine relief. Do the research. Start with Pacific West Bud, who might be able to answer some questions you might have about using cannabis for migraine relief.